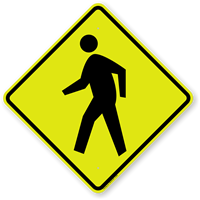 Protect crosswalks. 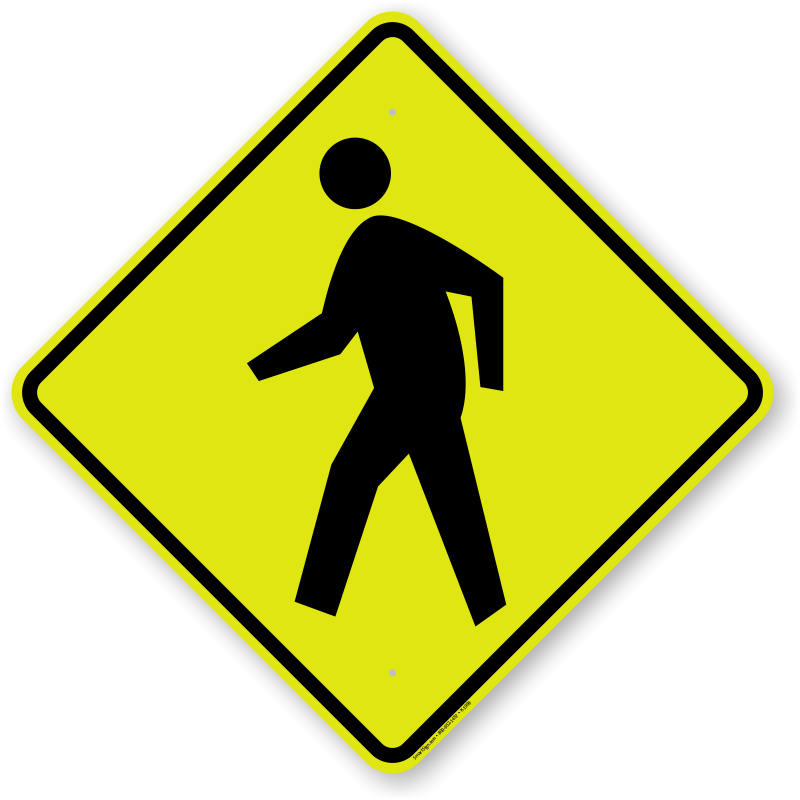 Pedestrian Crossing Signs give motorists important advanced warning. 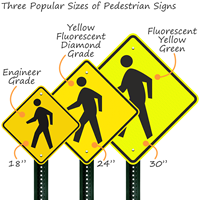 Fluorescent, reflective diamond-grade signs are the new standard for pedestrian warnings. 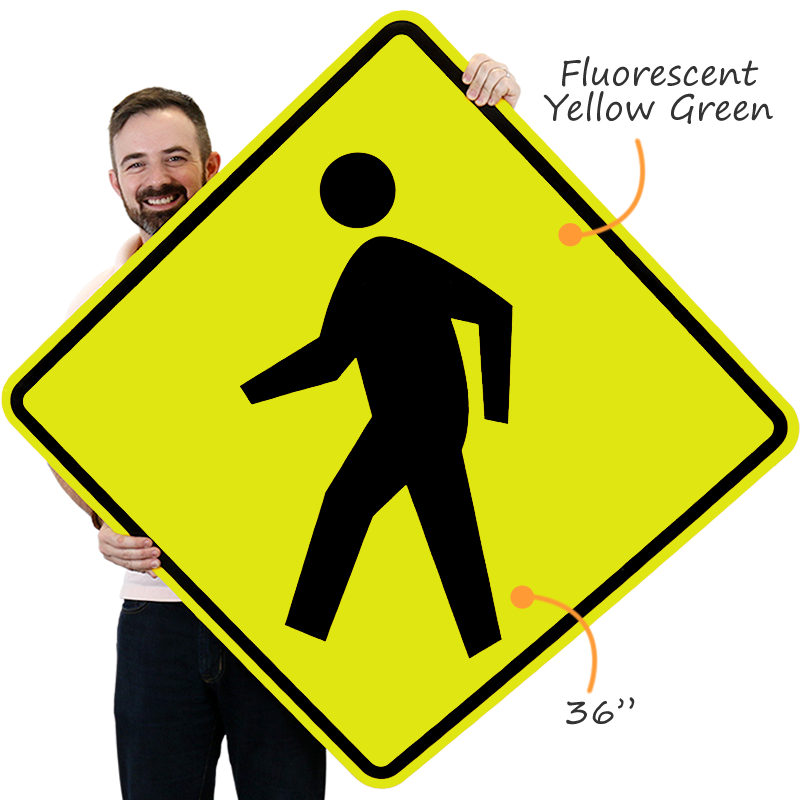 MUTCD replaced the traditional yellow engineer-grade signs with this new material. 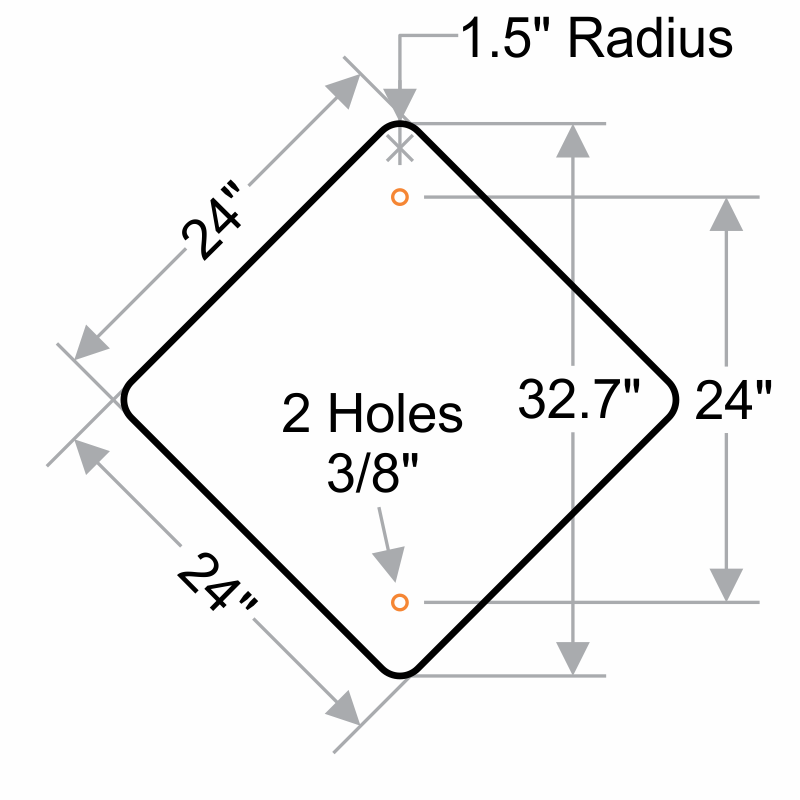 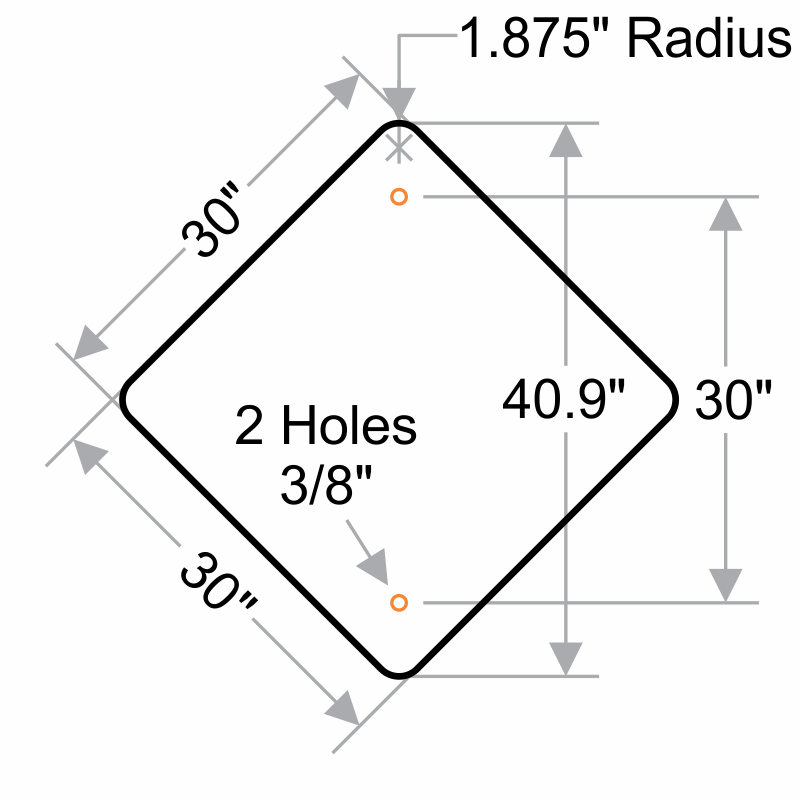 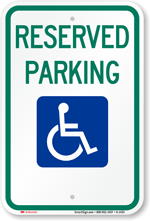 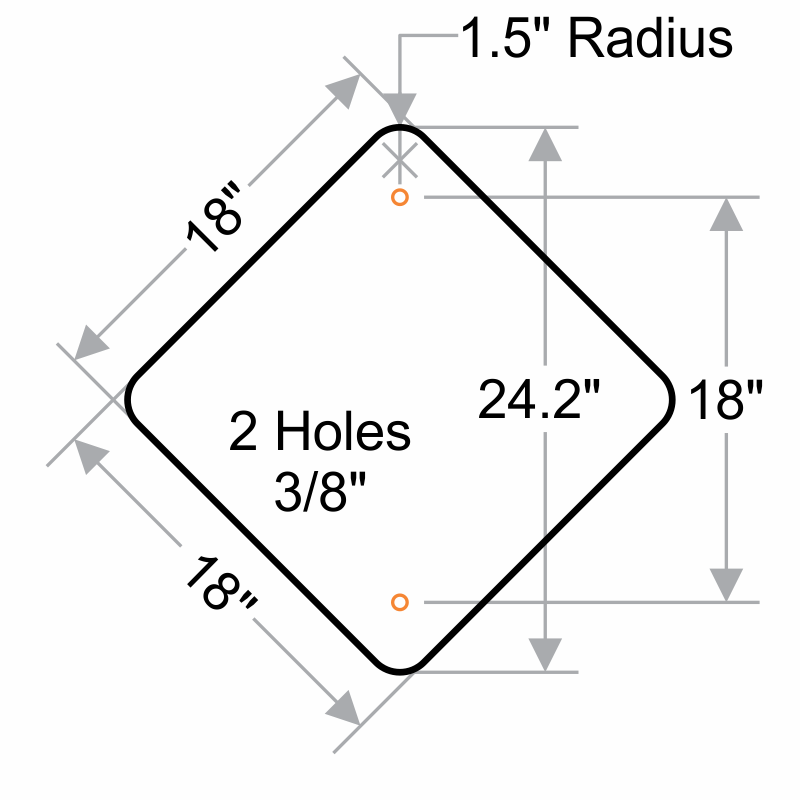 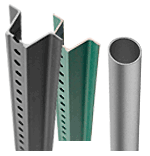 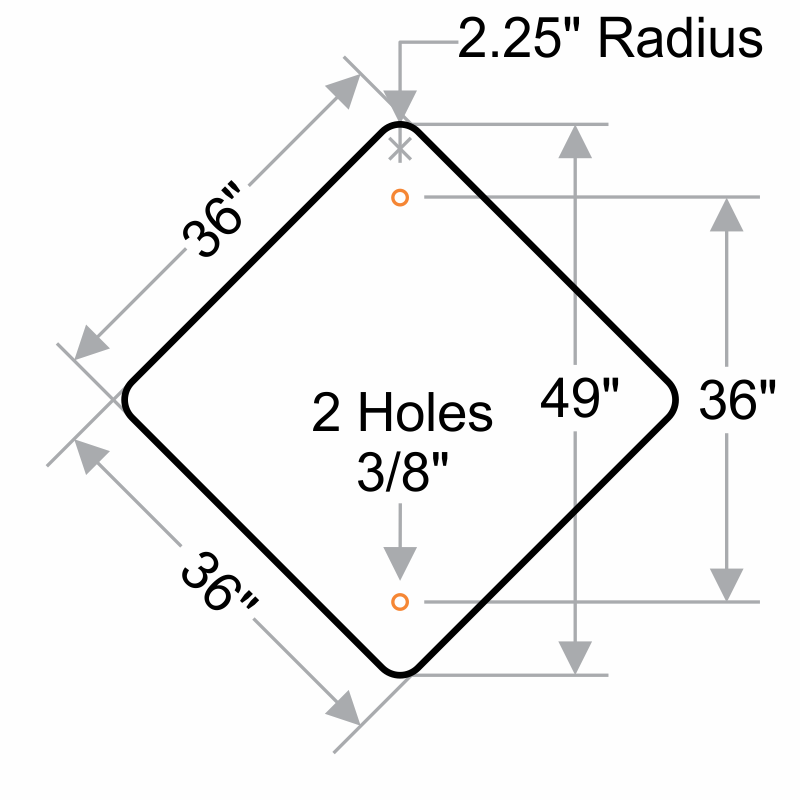 Signs offer exceptional visibility -- both at night and during the day. 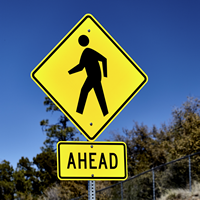 Signs are especially conspicuous during dawn and dusk -- key hours for going to and from school. 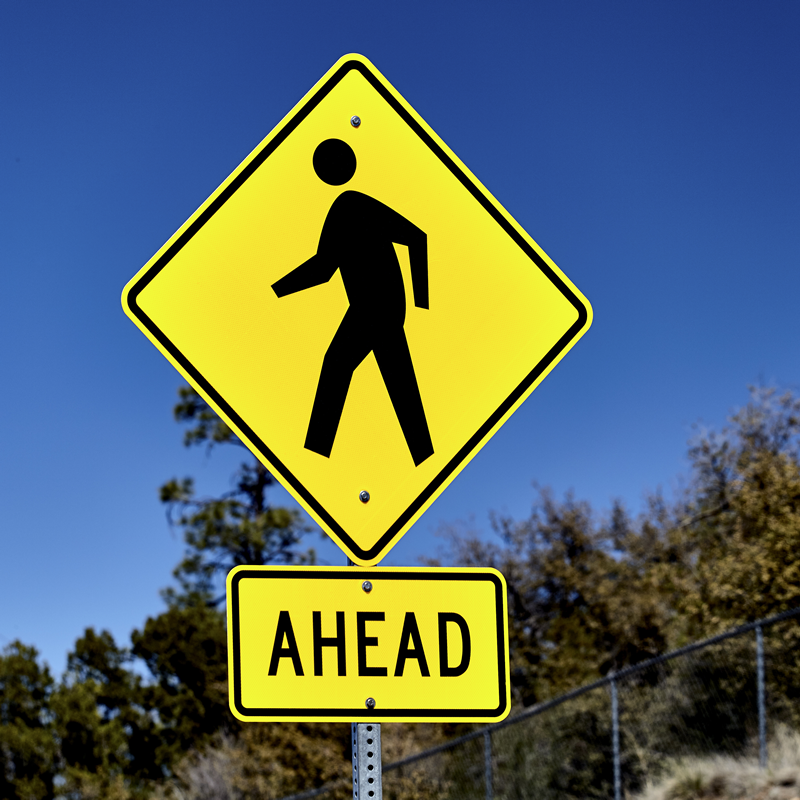 This important new material championed by 3M has saved countless lives and represents a tremendous advance in pedestrian safety. 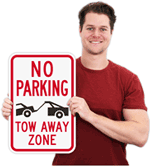 Signs have a heavy duty 80 mil aluminum backing. Note the different colors below. Fluorescent yellow-green is recommended.